Get Ready 49ers Fans, Dolphins Fans, Hurricanes Fans, Colts Fans, and ALL Fans! 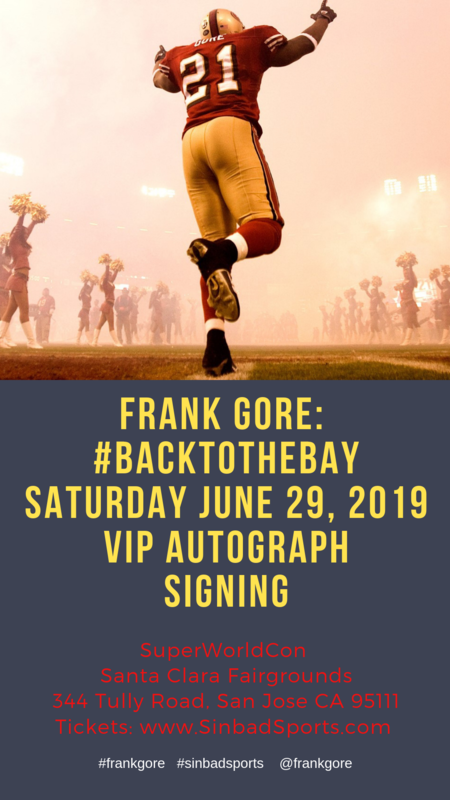 Frank Gore joins Joe Montana, Jerry Rice, Deion Sanders & More Stars! You Cant Miss It! TICKETS AVAILABLE DAY OF THE EVENT AT THE DOOR! If you bought tickets, they will be available at the Santa Clara Fairgrounds before the signing. Please show up 30 minutes early to get your tickets and hangout! Please bring your receipt. No tickets will be mailed out.